Welcome to the Rav4 EV Forum! Take a minute to browse the articles. Next, head over and join the forum to ask questions or let us know if you're planning to purchase a Rav 4 Electric! Toyota is taking the Rav4 EV on a tour of the Golden State. The tour is being called the Charge-to-Charge Tour, complete with a web series hosted by TreeHugger founder Graham Hill. The Toyota Rav4 EV tour started in Richmond, across the bay from San Francisco, and will work its way south from there. The Rav4 EV will be exhibited at events along the way like the 40th Annual EAA Electric Vehicle Rally in Cupertino. Toyota outlined its loan and lease options for the Rav4 electric vehicle. The EV has already started sales at some California dealerships, and will offer a 36-month lease optiong for $599 a month with a $3,499 downpayment. 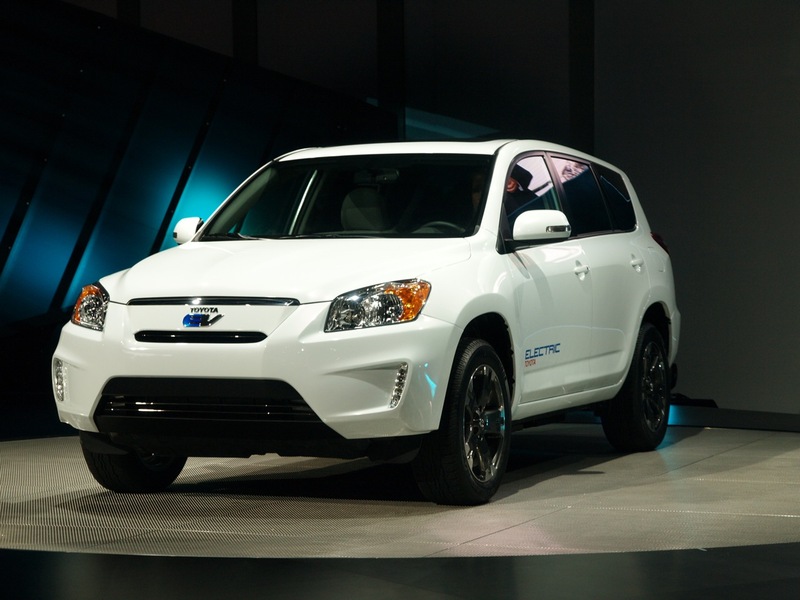 Toyota will offer 1.9 percent APR for those looking to buy the Rav4 EV. 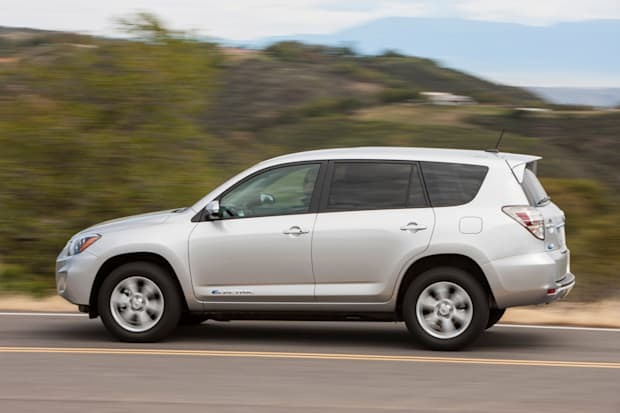 The Toyota Rav4 EV is priced at $49,800 and Toyota will build 2600 of them through 2014. In August, Bob Carter, gorup vice-president and general manager of Toyota Motor U.S. said that the 2012 Toyota Rav4 EV will be limited to the state of California. This raised much speculation that the new Rav4 EV is purely a compliance vehicle to satisfy the new California Zero-emission vehicle mandate’s requirements. Almost 2 years ago Toyota announced it would be re-introducing the Toyota Rav4 EV, and now as we are getting closer and closer to launch, Toyota is releasing more details. The MSRP for the full equipped Toyota Rav4 electric vehicle is $49,800. Toyota is claiming the vehicle will be available before the end of 2012. 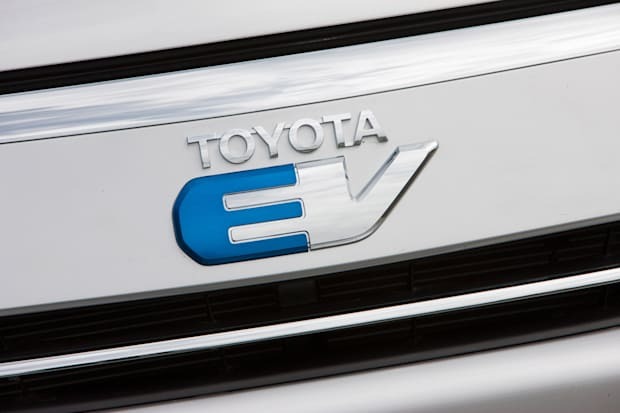 Toyota claims the Rav4 EV has a range of 100 miles, and that you will be able to charge it from empty in about 6 hours on a 240 volt 40 amp charger. The new Rav4 EV has led and halogen headlights and special emblems on the outside that Toyota says are environmental blue. With the battery and powertrain in the new Rav4 EV being designed by Tesla, the new Rav4 EV appears to be simply a compliance EV – built to satisfy new vehicle manufacturer regulations in California. Rumors are the Rav4 EV will be lease only, but the official press release says the car will go on sale in late summer 2012 through select dealers in 4 California markets. At %49,800, Toyota hopes to sell 2600 Rav4 electric vehicles in the next 3 years.